No this is not a waxwork dummy but the Real Deal. 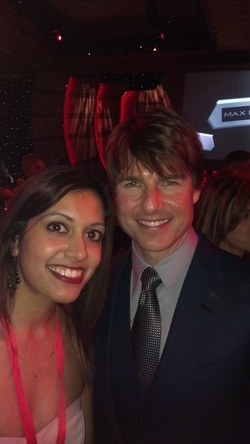 Anisha met Tom Cruise at the Empire awards March 2014. Tom was friendly and polite and readily agreed to have his photo taken.